Thanks to hurricane/tropical storm Alex, we on the west coast of Florida have been experiencing some unusually rainy and gloomy days. Things look a little brighter today, but this weekend was a flop! So, despite the rain, we made the best of a 3-day weekend! Saturday, we decided that rain or shine we were going geocaching! We did a new ‘type’ of geocache this weekend – they are called ‘virtual caches’. You don’t end at a traditional sign the log and put it back cache, but rather a monument or structure. 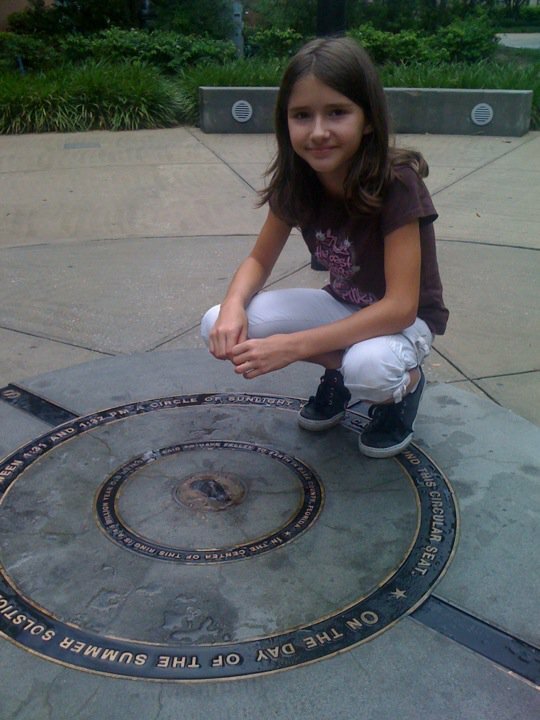 We did two on USF campus – both very interesting, despite that later Tori says they were boring. We learn some new things and got a chance to show Tori where I went to school. Truth is – I passed by both of these structures/monuments while at USF and didn’t realize what they were. It was very neat for me! We did a few more traditional caches on the way home as the rain literally followed us home! Our total for the afternoon was 7 (our highest yet)! On our way down to USF we stopped for some lunch at the Sam’s club on Dale Mabry Highway. As we were traveling down toward Sam’s, we noticed several helicopters in the air and a lot of people waiting by the road… like for a parade, but they looked out of place on this major highway. Then it hit me – it was the memorial service for the two officers that were gunned down in Tampa a few days ago. We decided to join them and honor these two men. Both men left behind families, one with four children and one with a baby on the way (the wife is 9 months pregnant). So sad. I started following the updates on my phone and saw the the memorial, which was held a little north of the Sam’s, was coming to a close. As we stood their waiting for the processional, there were a lot of police cars ahead of them (presumably to block off roadways). They were from counties all over Florida, different agencies, motorcycles, undercover… they all came to honor these two men. 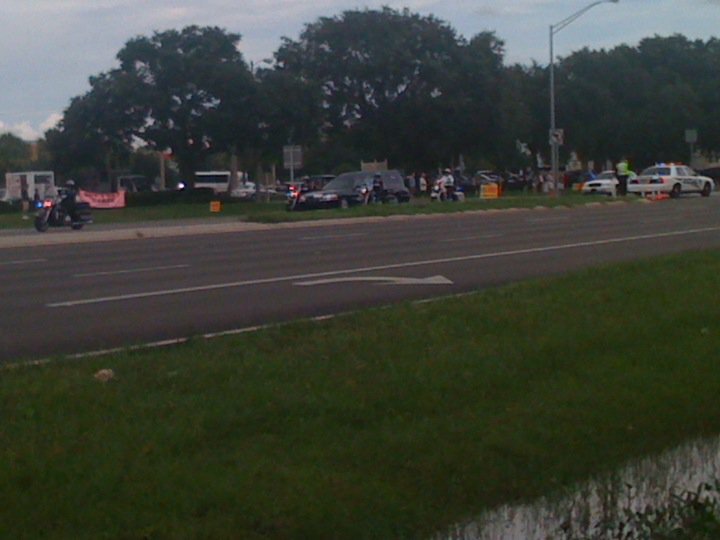 As the hearses and the convoy of cars passed us, I have never heard Dale Mabry Highway so quiet. On a weekend like the 4th of July, it was a good reminder that our freedom in America is not free. Click here for an article about the two men. One article, that I was unable to relocate today, said that the team that the two men were on was fairly newly assembled team (not that they were new to the force) and had planned a cookout for this 4th of July weekend, in which all of the wives and kids would get to meet each other. Sadly, they met this weekend for different reasons. Back to work… my lunch is over. What an amazing “wandering” day you had. That is tragic for those officer’s families and I sure do hope the department had significant insurance in place. I agree! I know that families of police officers understand the risks associated with such a job, but that certainly doesn’t diminish the loss and grief that they are enduring right now.